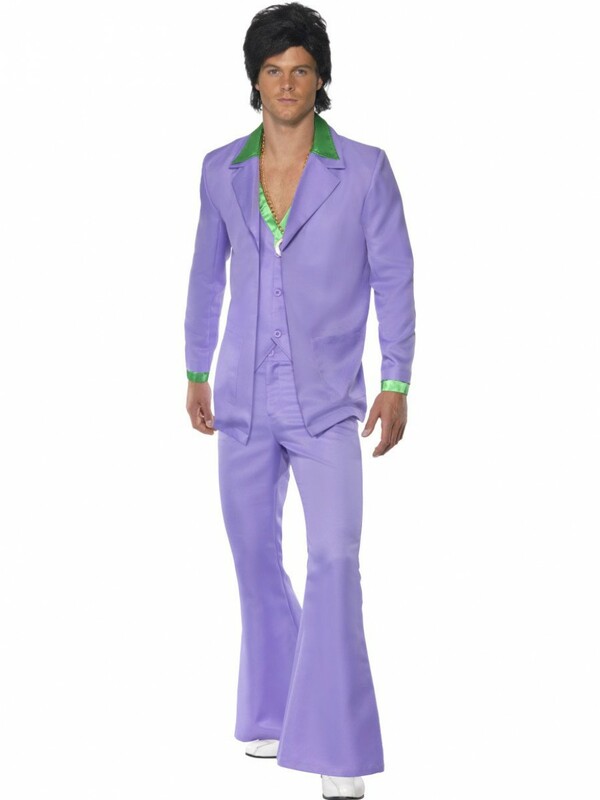 Own the dancefloor with this magnificent 70s Disco Suit, perfect for all Decade/Dance themed fancy dress occasions. This costume includes Jacket (with Mock Shirt and Waistcoat) and Trousers! A stand out costume; this 70s Disco Suit is ideal for 1970s/80s themed fancy dress occasions, also a great outfit for a Dance themed party. Included in the costume is Jacket with Mock Shirt and Waistcoat Insert and Trousers. 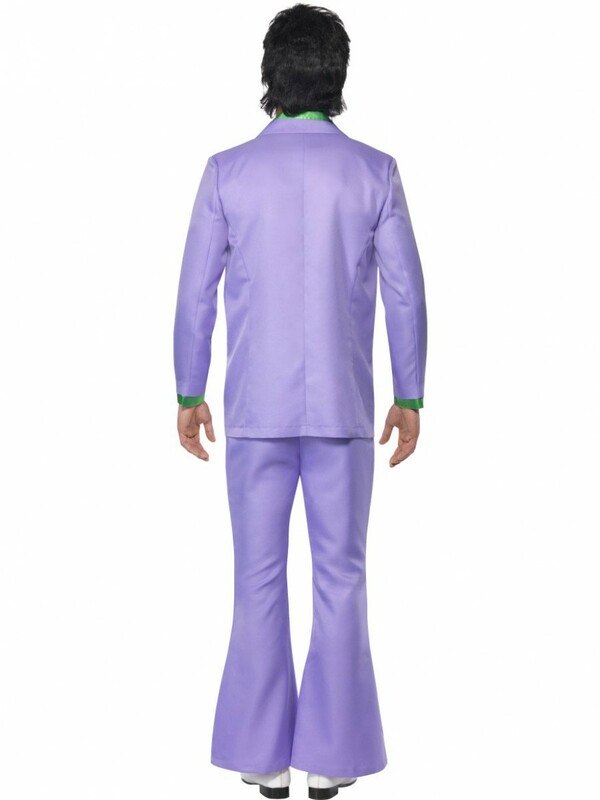 The lavender purple jacket is effortlessly suave, with the green collar detailing also on the cuffs; this outfit has that sleek look to it whilst still maintaining vibes of the 70s. The jacket has a purple waistcoat insert which is readily buttoned with a mock shirt attached. 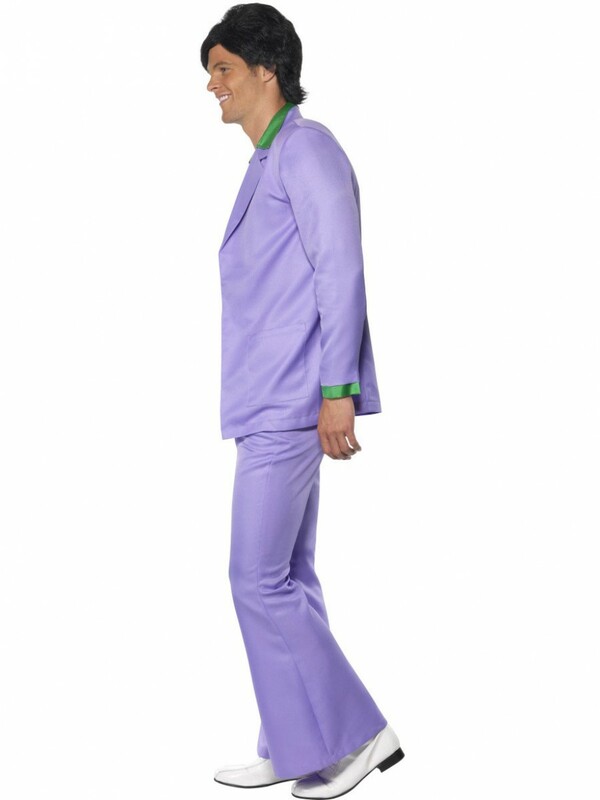 Also included is pair of matching lavender trousers with big flared bottoms to complete the look! This fabulous costume is perfect for any 1970s/80s or Dance themed fancy dress occasions! 70s Disco Suit including Jacket (with Mock Shirt and Waistcoat) and Trousers.